Julie Boyd and Associates have also provided educational consultancy services across Australia and internationally for more than 20 years. *Commissioned paper – Melbourne- Independent School – CLINICAL TO COLLABORATIVE- Re-planning Student Service Delivery. 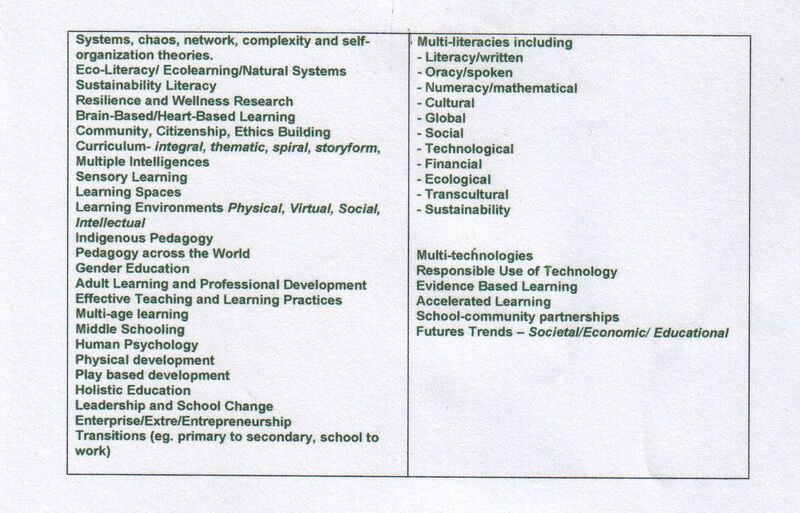 * Commissioned paper: PEDAGOGY- BEYOND DIGITAL LEARNING. We note that our frameworks, programs and resources have been rebranded by numerous organisations over the past two decades. a wealth of information which reflects our wide ranging interests. A range of products are available, some of which are available free, some of which have been commissioned and some which have been created for specific purposes. We assist your school or organisation to build new or renewed models for healthy and resilient staff and students. Julie Boyd and Associates provide educational advisory services to architects, builders and development consortia who are planning and building new schools.